Ryan White is the Director of Freight Initiatives in the Ports and Transportation Department at the New York City Economic Development Corporation. He manages maritime and rail freight planning projects, including the recently released FreightNYC, NYC's latest comprehensive freight plan. 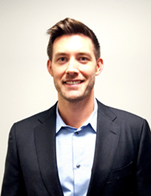 Ryan has a Master's Degree from NYU in Urban Planning and a Bachelor of Science Degree in Political Science from Santa Clara University.